Fitted with silver-plated Chord VEE 3 RCA plugs with PTFE insulation. Shawline conductors are built from silver-plated multi-strand oxygen free copper, insulated with PTFE. The unique shielding has been designed to work across a wide frequency range and reduce mechanical noise. The conductors are contained within a specifically chosen outer jacket to ensure flexibility and to further reduce mechanical noise. This cable is available in 0.5m and 1m lengths. Custom lengths available to order. Also available fitted with silver-plated DIN and XLR connectors. 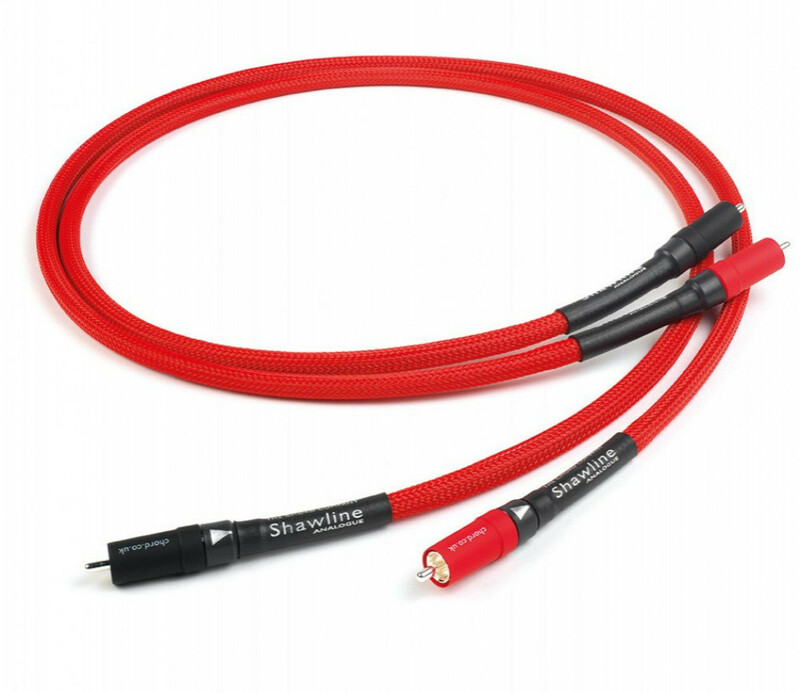 This cable is part of the Shawline cable range which includes loudspeaker cable and digital and analogue interconnects. Shawline cables have been designed to perform together. However, all Chord interconnects and speaker cables follow a similar design philosophy. This means that all Chord cable ranges are compatible with each other. For Tuned ARAY cables to work, every aspect needs to be millimetre perfect. Hand building is crucial to the complexity of the design. Using a Tuned ARAY design within the Shawline interconnect enables us to offer you a product at a price that allows it to be matched with surprisingly inexpensive components.